Dollhouse Miniature Spooky Castle and Vampire Fangs Halloween Cookies - Half Dozen - 1:12 Dollhouse Miniature - The Petite Provisions Co. 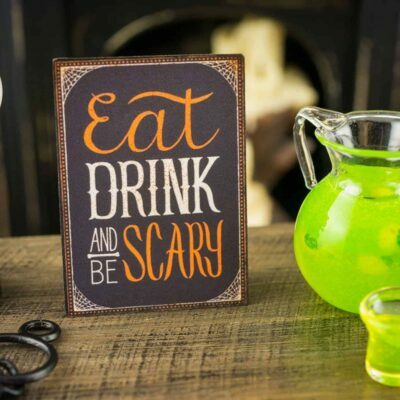 Nothing says Halloween like our favorite vampire, Dracula! 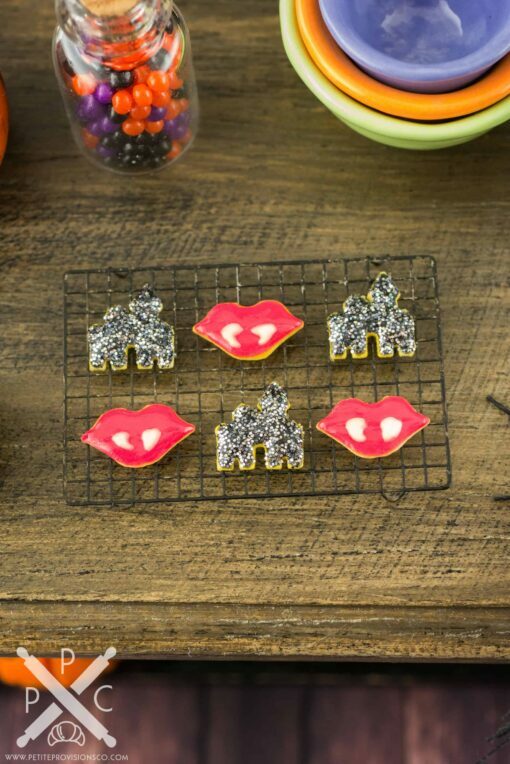 These iced cookies are perfect for Halloween, featuring spooky castles and ruby red lips with fangs. 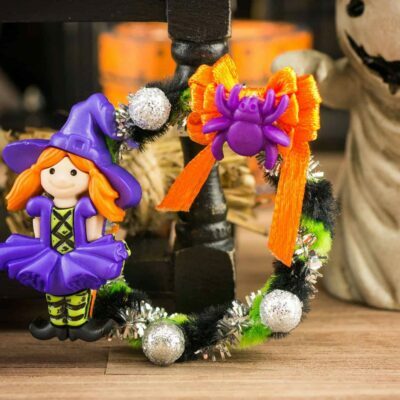 Whether you have a dollhouse or just love all things tiny, these little Halloween cookies are too cute to resist! 6 iced Halloween cookies: 3 in the shape of black castles and 3 in the shape of lips with vampire fangs.